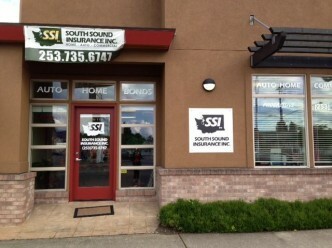 Data Backup Services - Auburn WA & Kent WA - South Sound Insurance Inc. Call South Sound Insurance Inc.
Technology has made keeping up-to-date records of your personal finances, assets, and business documents easier than ever. No longer do you have to deal with scattered papers and overfilled filing cabinets. Instead, you can keep all of your most precious information neatly organized and secure on your own personal or business computer. Unfortunately, accidents can also happen in the virtual world – from hackers to technological malfunctions. That is why it is important to be prepared, so you can keep your documents safe. Data Backup is a specialty service from South Sound Insurance Inc. that ensures the safety of your electronic records, documents, and other important files by periodically backing them up for you to our secure server. It can save you time and money, as well as protect you from major information loss. To learn more about Data Backup as well as our other distinctive services, contact South Sound Insurance Inc. today. Proudly serving Auburn, WA, Kent, WA, Federal Way , WA, Sumner, WA, Puyallup, WA, Seattle, WA, and surrounding areas.